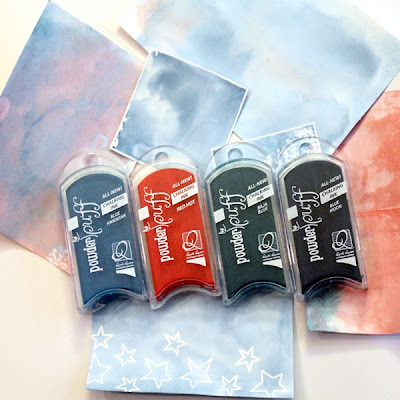 Blog Quick Quotes: Patriotic Inspiration with Wendy! Hi everyone. 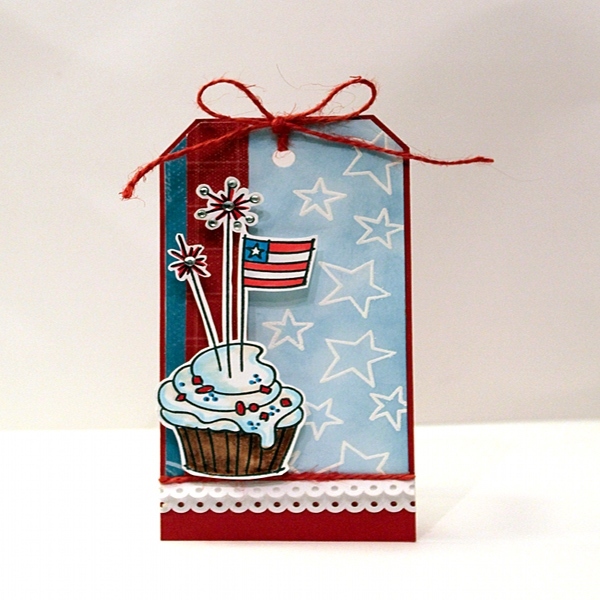 Wendy here and today I'm sharing a patriotic card for the 4th of July and also a fun technique using the Powder Puff inks. Ready to get started? I love the swirls in this piece of Quick Quotes Be Bold paper. The swirls coupled with the Want2Scrap rhinestone swirls give the feel of fireworks. Remember that ink technique I promised you? Not only are the Powder Puff inks great for stamping with, but you can also create cool watercolor effects with them. All you will need is a few ink colors, an acrylic stamping block, paper and a spritzer bottle with water. 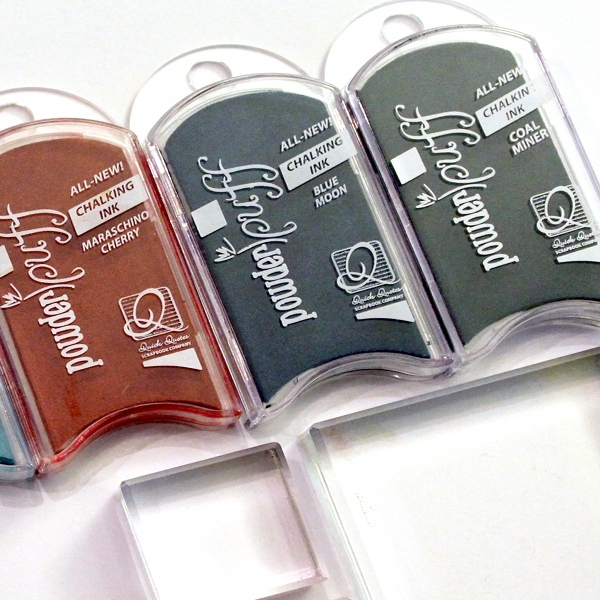 Using a clean acrylic block, stamp ink all over the block alternating colors. NOTE: you may pick up other color inks when doing this. Either use old ink pads you don't mind color contamination on or leave un-inked areas separating colors on the acrylic block. When you spritz with water, you can gently blow on the acrylic block or swirl a stick through the ink to get the colors to merge and mix. Spritz with water bottle till the colors mix and swirl a bit. 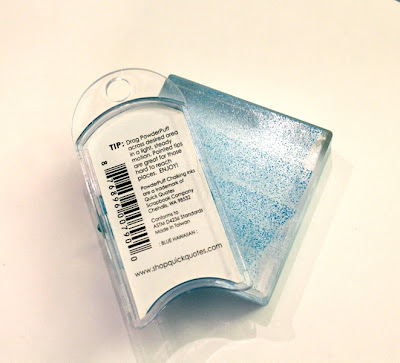 Now flip the acrylic block over and stamp the ink onto your paper. Lift the acrylic block off and allow your inks to dry. The inks will dry lighter. For larger areas, I use a large 6 x 9 acrylic block or a cuttlebug plate. You can experiment with color combos. 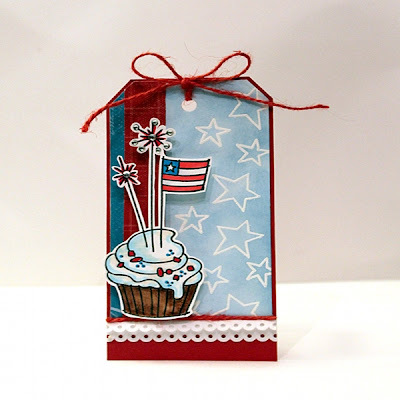 Try embossing a stamped image before for a cool resist effect. I used the embossed star sample on this tag. Thanks so much for visiting the blog today! Have a fabulous day!!! What a fun 4th card! Thanks for the ink technique. Love the technique. Great job on the tag, it's so cute. Fabulous card and tag! I love the watercolor effect! Thanks Wendy! Love the card and tag! And I adore the backgrounds you created! So pretty! !